The Captain's defiant bride! 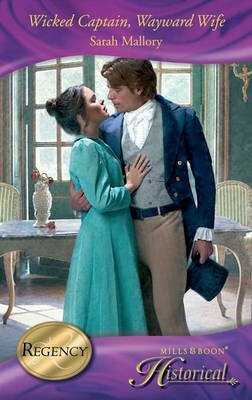 When young widow Evelina Wylder comes face to face with her dashing captain husband - very much alive - she's shocked, overjoyed...and furious! So, whatever his explanation for his outrageous deception, she'll keep Nick firmly out of their marriage bed. Eve's sheltered innocence bewitched Nick, but it's her fiery anger that captures this adventurer's soul! Now the daring war hero faces his biggest challenge yet - proving to Eve that his first duty is to love and cherish her, for always!